Having more than five years’ experience in the consulting field, I have encountered many situations similar to that mentioned above. There is a single denominator that can solve all these issues, that is ‘speed’. The time to act and resolve is important, and it is commonly the factor that draws a line between ‘meeting expectations’ and ‘exceeding expectations’. At the end, what’s most important is whether you can bring together right people and the right information at the right rime. This is where exactly an enterprise messaging app like U&Me Plus can come into the picture: aiding you access the information and people you require anytime and anywhere. 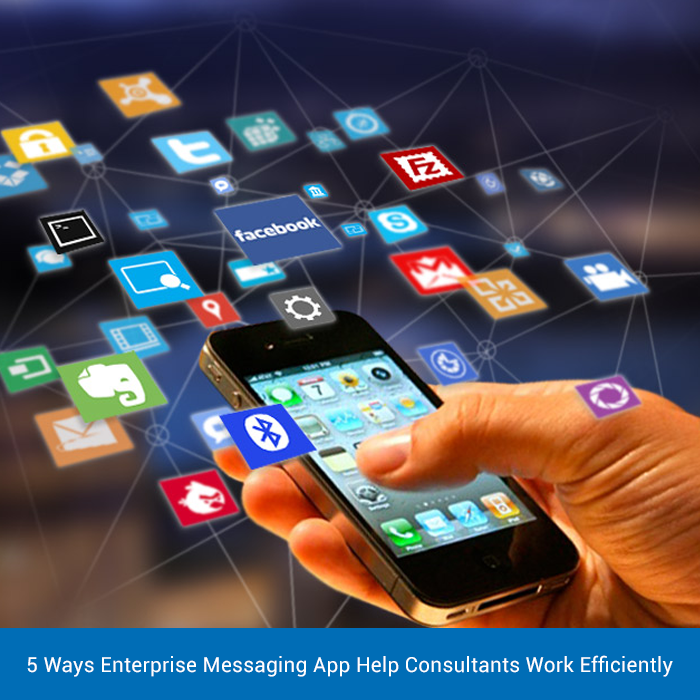 Hence, with so many workplace communication tools available, how can consultants get benefited by using an enterprise messaging app like U&Me Plus? Usually, consultants are on the go all the day. They do get new ideas mostly during their mobile moments- in the coffee line, in the foyer or on the metro. Recall it, how many times you have come across a client in the lobby or foyer and discussed a new project idea. With U&Me Plus, you can simply create a group for your project team, share ideas quickly and freeze on the next business opportunity. Everything happens on the move! Probably we all might have faced this situation when a critical deliverable closing date is approaching and it needs more coordination among the team. Emails keep on piling up and it is burdensome to locate the latest version of the document, especially when the input is needed on that document. With U&Me Plus, you can easily share files and get the approval or feedback you need to complete the work before the deadline. During the day, you are likely switch between conference and meeting calls. Sometimes, you might get stuck in a meeting that is taking more time than expected or in traffic. Usually, people will try to communicate this via email. But the question here is, does it work? Every now and then it results in a long email loop or a flood of emails you have to manage across. How it would be if you could simplify this using an enterprise messaging app? With U&Me Plus, you can synchronize your calendar and immediately begin a group chat by adding the meeting participants in a group. Consultants are the perfect road warriors, travelling from one place to other. Mostly, ‘office’ for consultants will be phone and bag, hence staying connected with your teammates can be difficult. Accountability and trust become very important in such scenarios. U&Me Plus can be a good way for the team to stay in sync, ask questions, get clarifications and discuss the priorities. Consultants usually work as a team distributed across locations: the client office, the home office or even at home. It is challenging to stay connected with friends and colleagues. A U&Me Plus group for your department or client office team can be a best way to stay in touch with them: whether it is coordinating a happy hour or coffee time, sharing information about upcoming events or even sending a humorous image to make the atmosphere light. So, how about trying enterprise messaging app for your team communication? Checkout U&Me Plus for yourself, create groups, invite your team and stay connected!